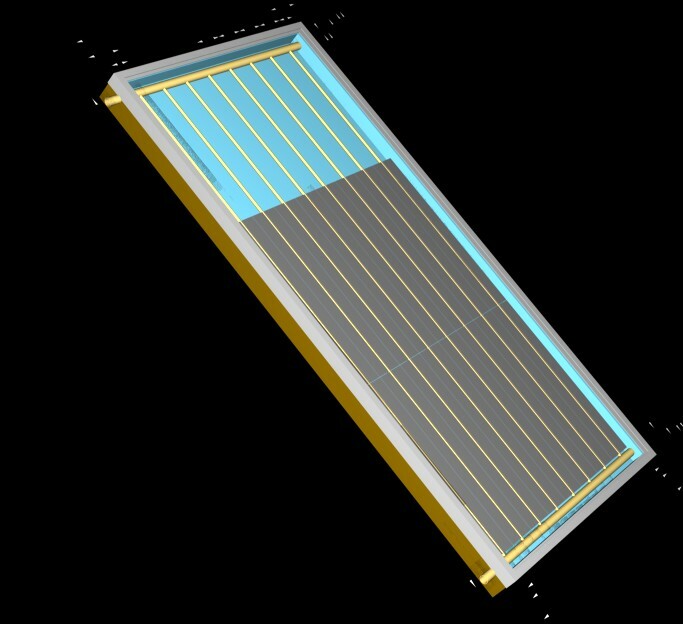 or solar domestic water heating system. You are here on the website of Kris De Voecht. 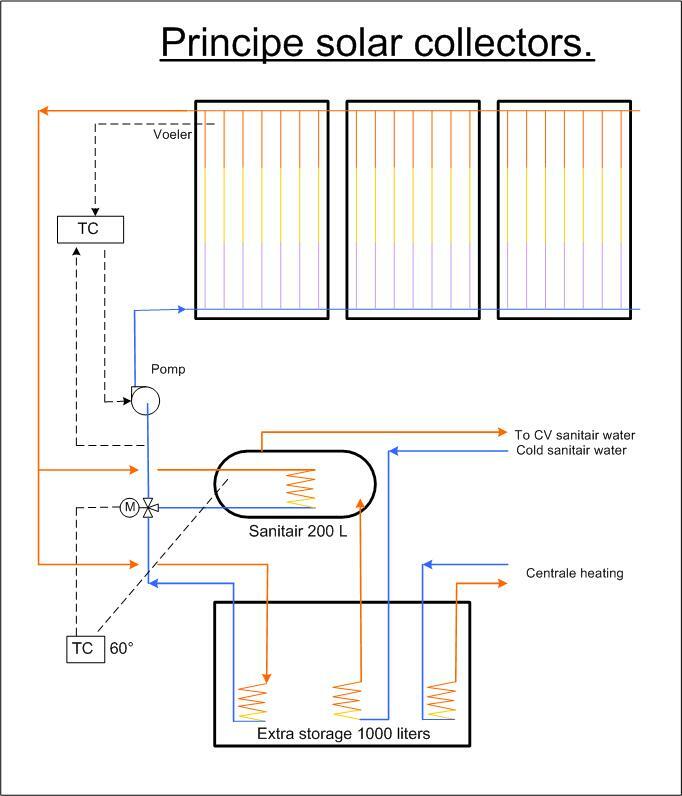 This is my overview page of building solar collectors and building the heat exchangers step by step. The metal press to stamp aluminium. The press as cutting tool. The metal scissor to cut aluminium plates of 2 metres. How to fold aluminium plates. Placing en testing the solar collector. A few interesting sites about solar energy. Topview, oure house with solar collectors on the south west wall. Here you can see were the sun comes up and goes under in the middle of the winter and summer. The inclination angle of the solar collectors, max sunshine in the winter and min in summer time.